After the lengthy tome that was ‘Nobody Ever Says Thank You’, I decided that what was needed was a quick read, a lightweight bit of escapism. This arrived in the form of a Montalbano novel. The only downside was that this meant I had skipped from book one to book four of the series – anyone who knows me will know that I don’t like reading series’ out of order. However, one of the good things about the Montalbano series which is true of both the books and the TV episodes is that while there is an ongoing story in the background (Salvo’s up and down relationship with Livia etc. ), it rarely plays a crucial part in the plot of a specific novel and so it is possible to read them out of order without spoiling any major developments. As with the others I have read, this is a well-written piece of sunny escapism despite the grim tale being told. While these will never be considered great literature, it was a very welcome change of scene and pace from ‘Nobody Ever Says Thank You’. After reading the introduction, I was dreading the prospect of facing another six hundred pages of this book. However, once into the text, things improved quite a bit. As you will have noticed, I did pause it a couple of times and moved off onto something lighter. This shouldn’t be taken as a criticism of this book, which was very interesting. 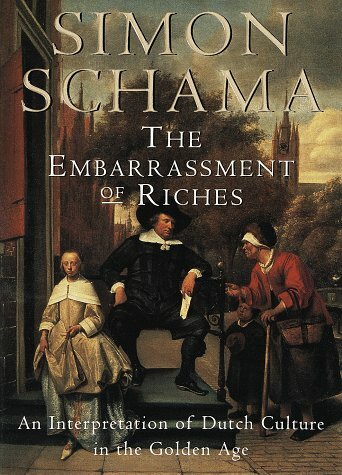 I paused ‘The Embarrassment of Riches’ at the end of the first chapter, having found the latter portion of that section a little over my head. For something lighter, I turned to another of the Montalbano novels. To be honest, I could repeat many of the comments in the write-up of ‘The Voice of the Violin’, but I won’t, if only in the name of brevity and originality. It ticked all the same boxes and provided a nice relief from the slower progress of Simon Schama’s book. It’s probably a little misleading to say that I read this book, as over three quarters of the pages are covered with illustrations rather than text. This would explain how I managed to work my way through over four hundred pages inside three days. This is, without doubt, one of the most wonderful books I own. As regular readers of this blog might know, I am a big fan of Tintin and Herge’s art, and so to have a book filled with everything from rough sketches to perfect reproductions of frames from the books is a joy in itself. The text is interesting and informative without going into too much detail and distracting from the main focus which is of course the art. Even though this is a companion to the Musee Herge and so probably is in effect the museum in paper form, it has made me more keen to see it in the flesh rather than less so. This entry was posted in Book Diary, Books and tagged Andrea Camilleri, Book Diary, Book Diary 2014, Books, Simon Schama by Philip. Bookmark the permalink.